Adorable animals help young children master key early language skills. 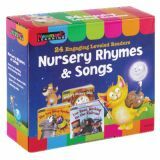 Perfect for prek-k teachers, day care and nursery school providers and parents preparing for school readiness. 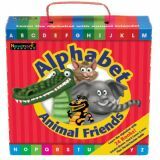 This set of alphabet books help young children learn phonemic awareness, letter recognition and formation, sound and symbol relationships, and oral language vocabulary. 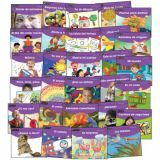 These beautifully illustrated 16-page books help children increase vocabulary and build early reading skills. 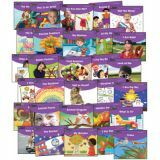 Colorful and engaging Flip Charts feature write-on/wipe-off pages—perfect for morning message, circle time, centers and small group learning! 12 titles. 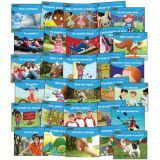 These beautifully illustrated 16-page books help children increase vocabulary and build early reading skills. 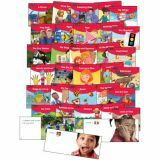 Colorful and engaging Flip Charts feature write-on/wipe-off pages—perfect for morning message, circle time, centers and small group learning! 24 titles. 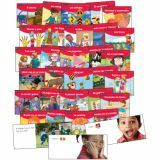 Teach early Creative Expression concepts and foundational reading skills with this precisely leveled text set. 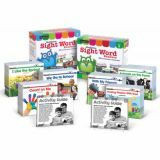 Teach early Math concepts and foundational reading skills with this precisely leveled text set. 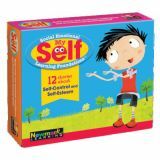 Teach early Physical Development concepts and foundational reading skills with this precisely leveled text set.